It just warms my heart to see this sight! 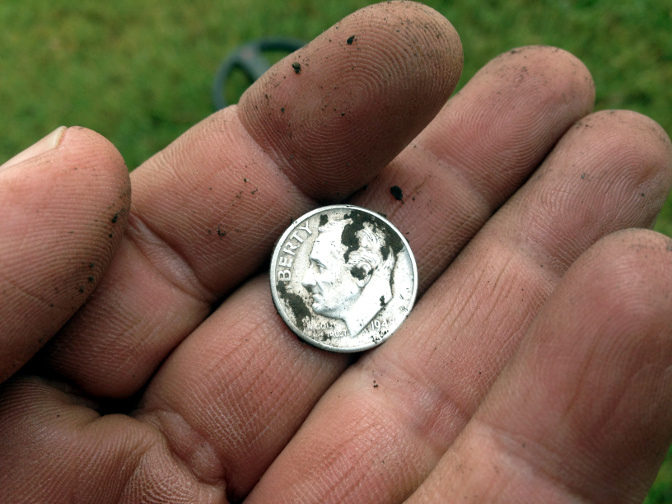 Out of the hole came a 1948 Roosevelt dime. 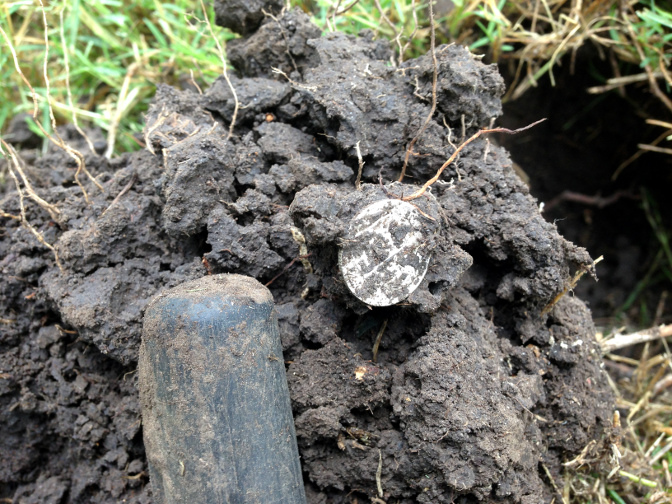 Afterwards, I found a pretty piece of old bling (not pictured) and a 1919 wheat cent and nothing else but I went back to work happy. Love me some Silvah!!! Congrats!